Thank you for your interest in Country Club Estates! We welcome this opportunity to introduce our community. 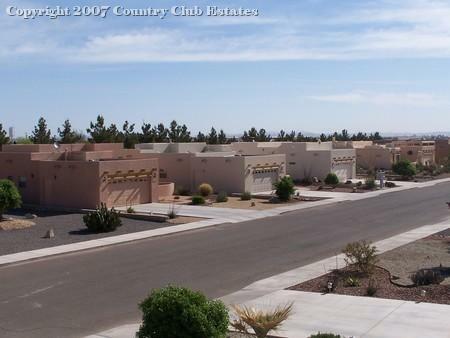 Set amid some of the most beautiful desert in southern New Mexico, Country Club Estates has Santa Fe style homes at values no other Adult community can match! Within minutes you will find an 18 hole golf course, a municipal swimming complex, walking/bicycling paths, and a community learning center. In this friendly and diversified community, with four distinctive and sunny seasons where the subtle beauty of the desert blankets the land, mountains brush the clearest of skies, and the purest of water flows you’ll know you’ve found the best place to live and retire…New Mexico. 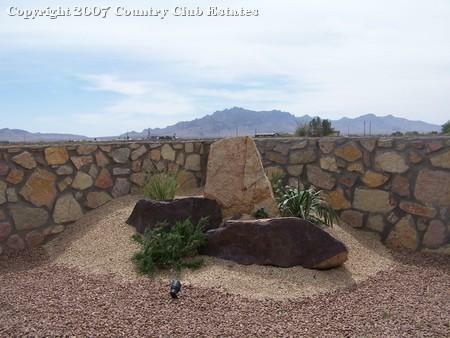 Country Club Estates is intended to be a planned community for Active Adults. At least 80% of all living units must be occupied by at least one person 55 years of age or older. We look forward to meeting you soon! 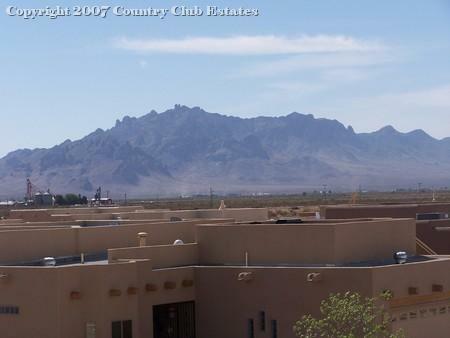 Set amid some of the most beautiful desert in Southern New Mexico, Country Club Estates provides Santa Fe style custom designs at values no other adult community can match! Within minutes you’ll find an 18 hole golf course, a community learning center, walking/bicycling paths, fitness center, aquatic center, retail stores and restaurants. In this friendly and diversified community, with four distinct sunny seasons, where the subtle beauty of the desert blankets the land, mountains brush the clearest of skies and the purest water flows, you’ll know you’ve found the best place for retirement…New Mexico.